At all family gatherings I am always asked to bring the macaroni and cheese. Seriously, I think they would not allow me to come if I didn't have a BIG pan of it in tow. So you can imagine I make it a lot! My traditional Macaroni & Cheese recipe requires making a bechamel sauce and then baking it in the oven. We do love it so but sometimes I just need a helping hand when the family is begging me to make it. 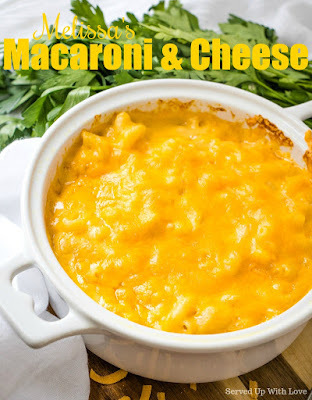 I have made several slow cooker macaroni and cheese recipes trying to get it just right. With each one, there was just something that just didn't hit it out of the park for me. But that has all changed with this recipe. 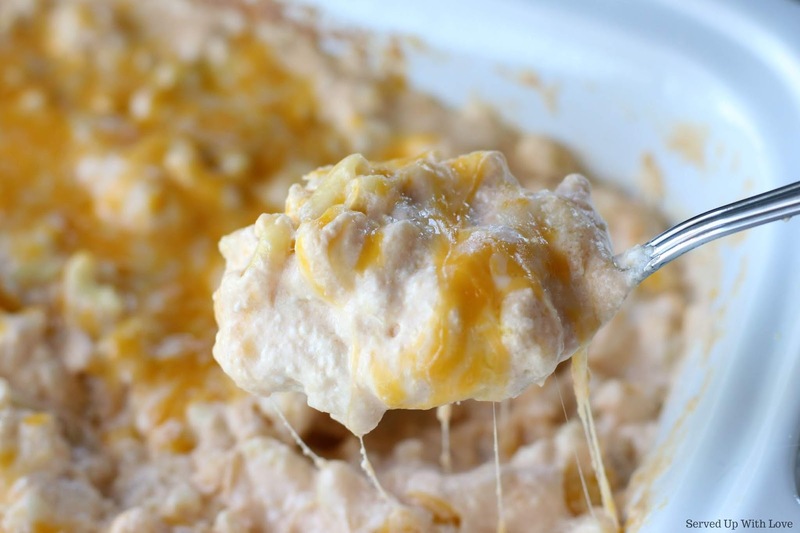 It is the perfect blend of creamy and cheesy and will certainly tame your cravings. 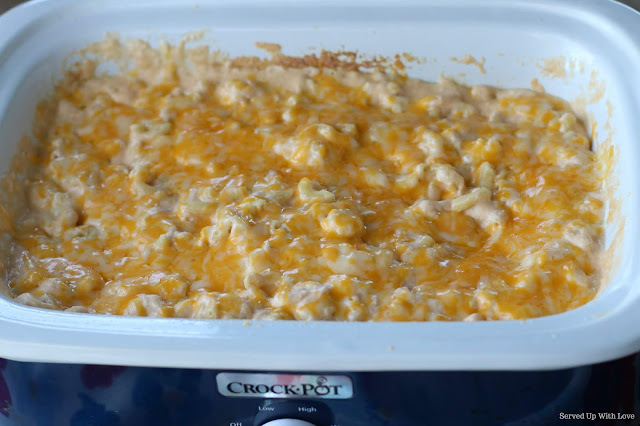 Because this is made in the crock pot it frees up oven and stove space during holiday meals. But its not just for holidays, summer BBQ's and weeknight meals are so much easier when you have a recipe like this one. 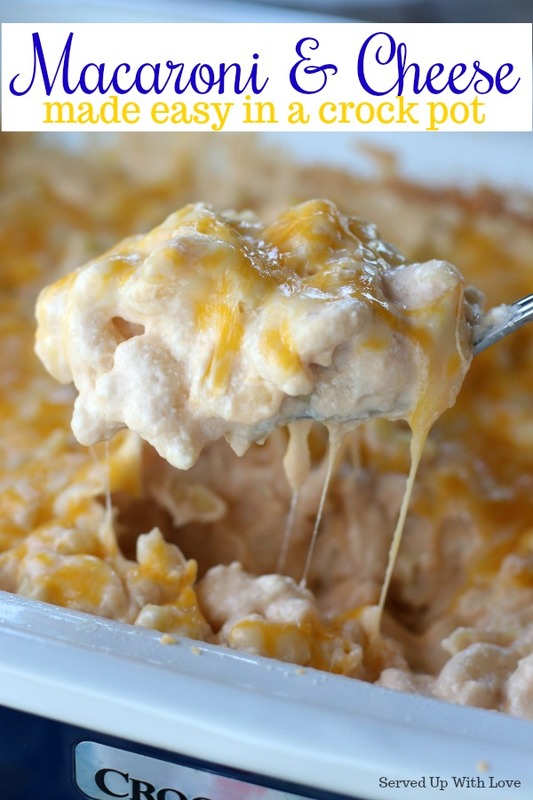 Creamy and cheesy macaroni and cheese made super simple in the crock pot. Combine all ingredients into your slow cooker. Stir and cook on high for 2 - 3 hours. Periodically stir the ingredients as it cooks to combine. Some slow cookers run hotter than others so make sure to check this around the 1 1/2 hour mark for doneness. 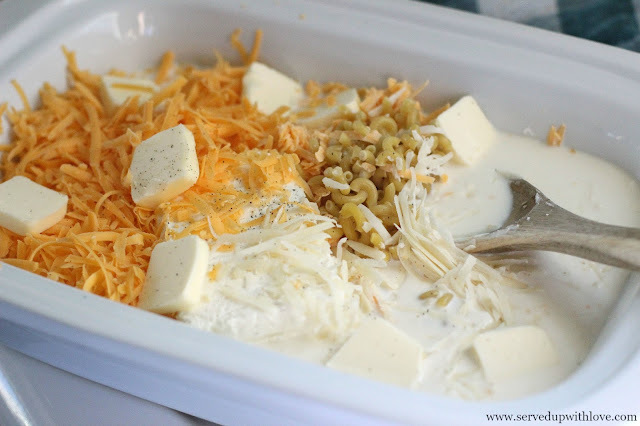 *For this recipe I used the Casserole Crock Pot but you can use any slow cooker for this recipe.